Was Almost Repeated Forty Years Later"
atmosphere -- this is how it's supposed to look." 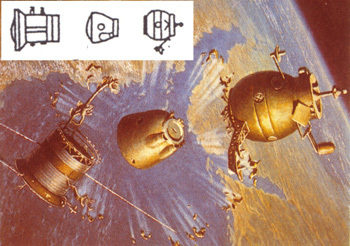 Andrey Sokolov; schematic of three modules, Russian Space Agency. 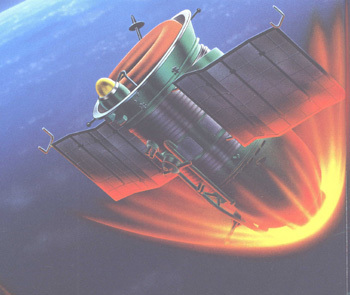 orientation, without the critical heat shield facing forward." 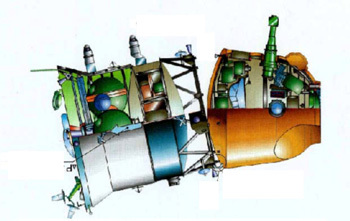 April 21 - MSNBC: "Space crew’s hard landing raises hard questions"
April 27: "The Real Soyuz Problem - Looking Past the Smoke and Flames"
Oberg's 1997 study of "Soyuz Landing Safety"